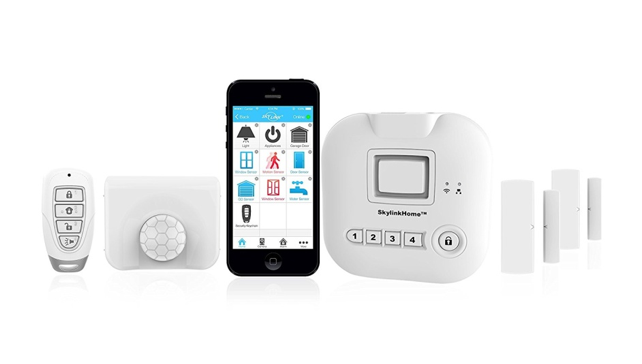 The SK-200 SkylinkNet makes for a great addition to just about any security system. If you want to make your home or place of business more secure, we highly recommend that you take the time to look into this particular system because of everything it has to offer. 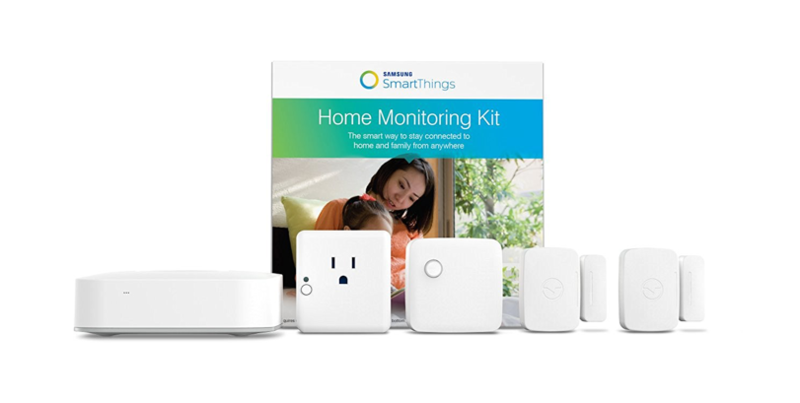 When you purchase this wireless alarm system you will get two window/door sensors, a motion sensor, keychain remote and internet hub. This small hub is only 4”x4” and features a five-button keypad that you can use to arm and disarm the system. There is a 2.2” keychain remote that is made up of four buttons that you can use to fully arm the security system while you are gone or at home. The built-in panic siren can effectively deter anyone who is trying to break into your home. This wireless alarm system uses a proprietary wireless protocol that has a total range of 600 feet. 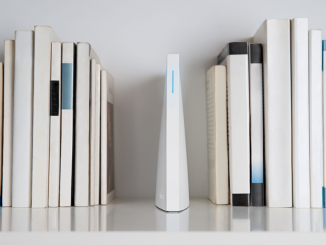 The hub can support up to 100 different sensors, so you will be able to put as many as you need on the doors and windows throughout your home. Each sensor uses AAA batteries, and a backup battery just in case the power goes out. 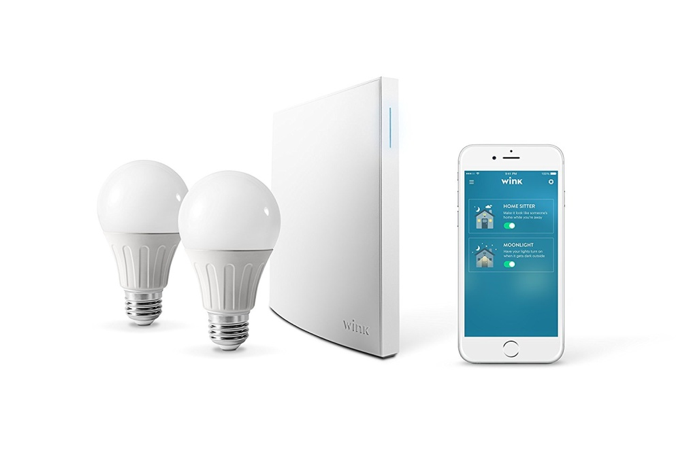 Some of the add-on devices include a water leak sensor, outdoor siren, indoor and outdoor wireless cameras, and a number of dimmers and wall switches. You can fully control this wireless alarm system with a mobile app that is available for both Android and iOS devices. This app has a very user-friendly interface that you should have no problem whatsoever using. There are a series of icons for each connected device that each performs unique functions. The Home page will show you each device that is currently connected. When you click the wheel in the device panel, you will see a Settings page that will allow you to change the alarm settings. One of the best things about the SK-200 is that installation is very easy and doesn’t take very long at all. All you have to do is connect the hub to your router with the included Ethernet cable. You will then need to download the app and create an account. Go through the Setup Wizard and choose Add Device. You will need to choose the type of device from the menu, give it a name and tap Learn Now. When it comes to performance, the SK-200 works great without any issues whatsoever. It is very responsive to window and door sensors. When the motion detector is triggered, it will send notifications directly to your phone within seconds via the mobile app. The built-in 110dB siren is extremely loud and will let you and everyone around know that someone is trying to break into your home. Very reasonable price that the average person can afford. Mobile app with easy-to-use interface. Doesn’t work with third-party devices. No email or phone call notifications. 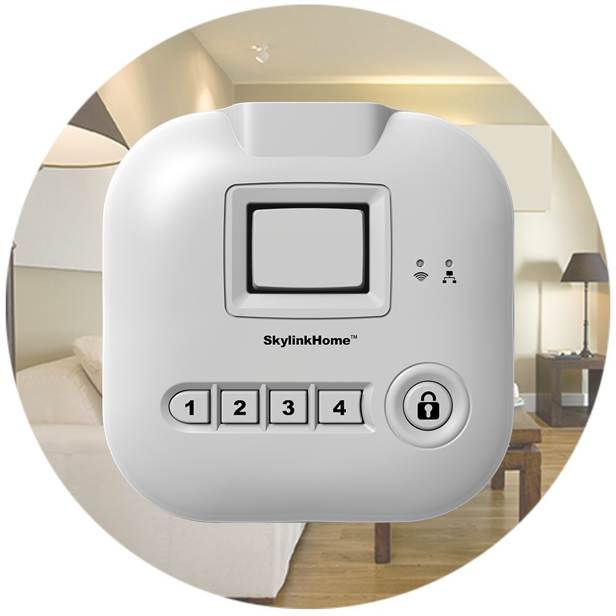 Overall, the SK-200 SkylinkNet Connected Wireless Alarm System is a truly great investment to make if you want to step up your home or business security. With an extremely user-friendly interface, mobile app and highly responsive door and windows sensors, this wireless alarm is a very solid product. If you are currently looking for an effective way to keep your family safe, this alarm system offers a comprehensive solution. 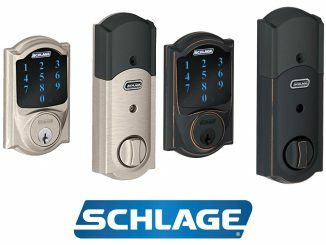 Its overall functionality is quite impressive, even compared to some of the top of the line alarm systems on the market right now.